Today I am sharing with you all a Vlog from the gym. I don't always go to the gym, but I do my best to go especially when I notice that I am beginning to have less endurance or difficulties with transferring to and out of the wheelchair. I'd like to mention that I am not a physical therapist and neither am I a personal trainer, but I hope that you guys enjoy this Vlog of me in the Gym. 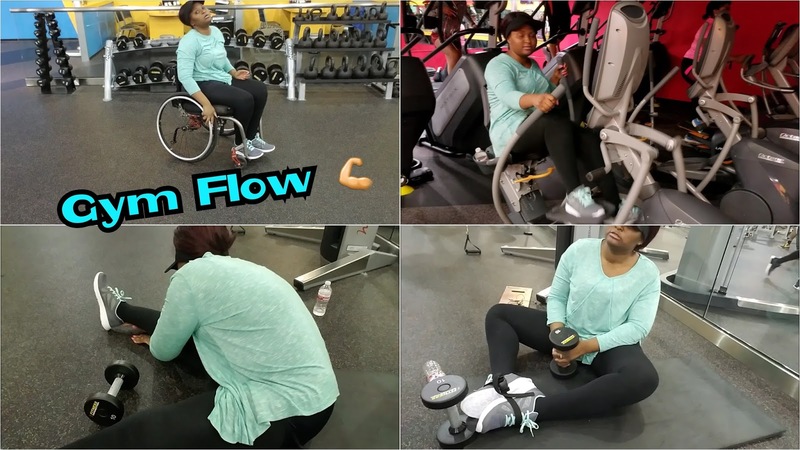 I hope this video helps any wheelchair user out there wondering what exercises to do in the Gym. As I mentioned before, I'm not an expert but doing some of the exercises shown in this video help me build strength and maintain my body weight. While weight loss is a great reward for going to the gym, it's hardly ever my focus because I know that dieting is a big part of weight loss. However, getting your body moving and ensuring that you're flexible and have good blood flow/circulation is a MAJOR part when you're a wheelchair user. Personally, I enjoy being independent and being able to do just about everything I want to do despite "the wheelchair". I had to learn to do certain things differently since I don't have full muscle control/use, and my balance is still kind of OFF. I also get help from the really big guys at my gym for certain transfers I can't do by myself. I won't give everything away by typing too much.... so lets get into the video. Please feel free to ask questions you may have. Thanks for visiting, God Bless. you are such an inspiration! glad I was able to whatch most of your videos. With bistroMD you will know that not only will you get gourmet entrees, but that every meal and every day in bistroMD's weight loss programs is balanced to bistroMD's designed nutritional platform that helps promote an healthy diet. STEP 2 - See your menu in advance and select the meals you would like for each day and week.